We've created a handle pattern with two separate finger choils. The first choil allows positioning the index finger closer to the knife's sharpened edge for control over the cutting surface. Behind the first choil, the second positions the hand farther back on the folder for dexterous cutting while pushing the blade away from you. Bi-Directional Texturing molded into the FRN handle form varying levels of steps minimizing forward or backward sliding. Carved out of the locking lever is a David Boye Dent insuring the lock remains safely engaged even when gripping the handle forcefully. 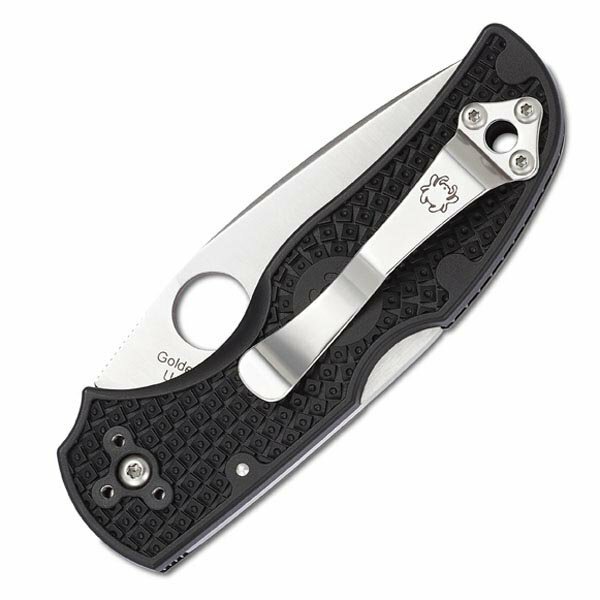 A section of non-sharpened serrations line the blade's spine yield an additional slip resistant point for the thumb. 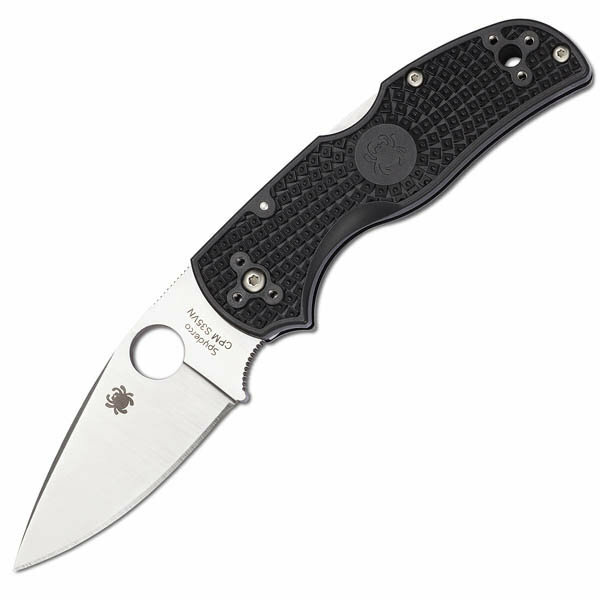 The blade itself is hollow-ground CPM-S35V steel with a weight reducing swedge ground from the spine. A black steel tip-up clip can be placed ambidextrously on both sides of the handle via a barrel-shaped screw that doubles as a lanyard.